Working capital loans are debt raising methods that SMEs and MSMEs resort to, to manage the day to day functionality of their company without having to give up any portion of their equity. Too complicated? In this paper, we are going to be talking about the various forms of funding that entrepreneurs can make use of and what are steps involved in such activities, the eligibility criteria and its aftermath. To fully understand a working capital loan, it is essential to understand the term working capital and its significance in the BFSI market. Working capital for any organisation/company is its efficiency to manage its current expenditure which includes 3P merchant payments, cash advance, payroll, infrastructural costs, etcetera. Working capital is what that remains after deducting the company’s liabilities from net income. 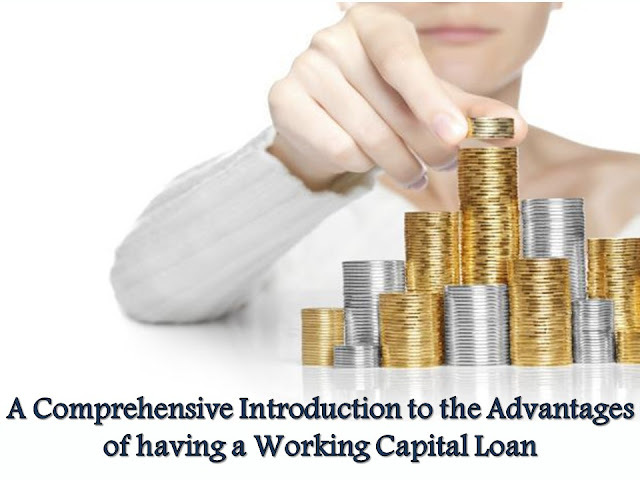 The need for a working capital loan arises depending on the working model of the organisation. For a few manufacturing companies, it might be to manage expenses till the preferred selling quarter of the year comes. While for a few service-based companies, it could be to meet new service delivery requirements or to increase infrastructure and manpower to meet business expansion. Working capital loans offer quick disbursal, competitive business rates, and collateral free lending and these factors make them a preferred choice? Working capital loans are known for the quick disbursal periods. The turnaround time for these loans ranges from a few hours to a business day. These loans offer the applicants an opportunity to apply online from the comfort of their homes without having to go through the hassle of applying via offline methods. These working capital loans do not expect any private or commercial property as collateral. Ergo, the applicant can apply for financing without any high stakes. That said, working capital loans rely on the credit score of the applicant while reviewing the risk involved and the credit score takes a significant negative impact upon non-payment. Thus, making it difficult for the applicant to receive lendings in the future. When a working capital loan is being sanctioned from a reputed lender for an applicant with a good credit score, the rate of interest ranges between 12 to 16% and the tenure generally offered is up to 12 months. With this, the applicant is allowed flexible repayment options. These measures allow the applicants to repay according to the nature of their business and its revenue generation cycle. Generally, the repayment options for working capital loans include bi-weekly, monthly, and quarterly payment options. Line of Credit, Short-term loans, SBA, Merchant Cash advance, and Invoice financing are the most sought-after working capital loans. With these highly tailored options to choose from, the applicant is able to assess multiple lending options available and their relative costing before finalizing on one model that best fits the needs of the organization. As this method does not rely on the equity-based finance principle of lending, the entrepreneur will not have to give away equity of the organization for fundraising. That said, there are a few working capital loans than run on these lines, but are mostly from personal connections. At its core, a working capital loan is an unsecured business loan that does not require a collateral, a guarantor, or equity/share of the applying organization. It relies heavily on the credit score of the applying company and the credit score of the applicant. As lending institutions take up a high risk to process these kinds of lendings, they charge a higher rate of interest and offer lesser repayment tenure when compared to the lending models in the umbrella of secured business loans. That said, there is the involvement of processing fee and other non-payment charges that the applicant must review before signing up to accept any working capital loan. Thank you for your sharing. Thanks to this article I can learn more things. Expand your knowledge and abilities. Actually the article is very practical happy wheels . Thank you!